Posts tagged "Chakra Installation Ceremony"
The following Chakra installation ceremony photo gallery is another inspiring chronological look back at the recent historic installation ceremony of the two remaining Chakras onto the TOVP. By the mercy of Mahaprabhu and the hard work of all the TOVP Team, preparation work for the Chakra installation ceremony is progressing rapidly. 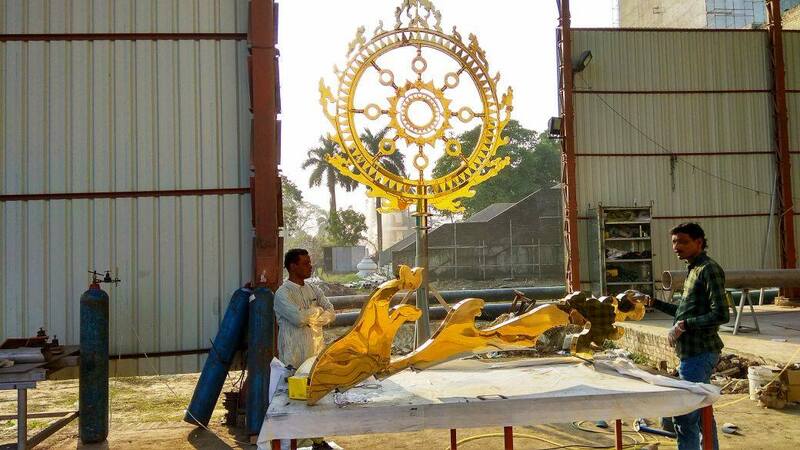 The Nrsimhadeva Dome Chakra is complete and now devotees are working day and night to attach the Navayogendras and the central piece of the main Chakra to the 6m (20’) frame.